Detroit Publishing Co. no. 05493. 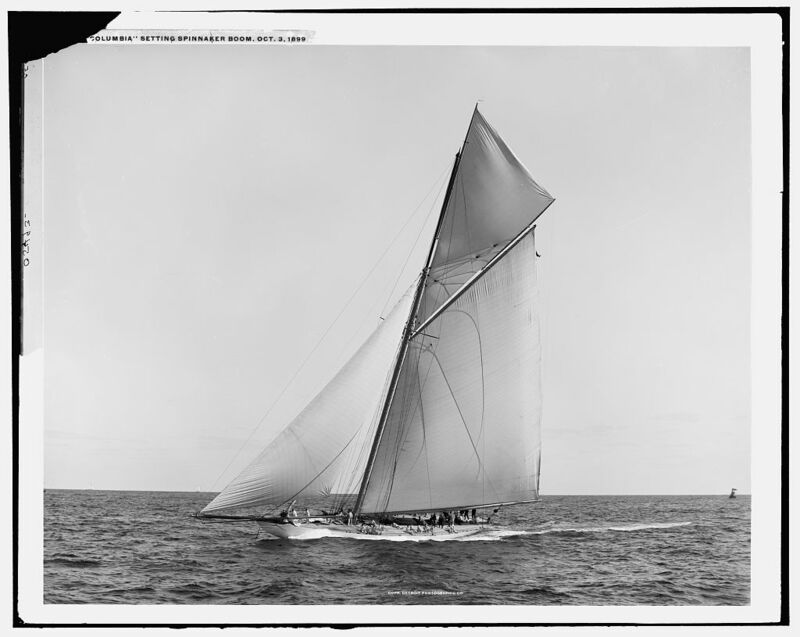 FIRST YACHT RACE FOR NEITHER BOAT; Shamrock and Columbia do not Finish in the Time Limit. THE RESULT INDECISIVE Challenger Handled in an Admirable Manner by Capt. Hogarth. CRITICISM FOR BARR Yachtsmen Say He Ran the Defender Like an Amateur -- Irish Boat Beaten by 2 Minutes and 44 Seconds on the Outward Leg.